Whether you’re a seasoned veteran of purchasing a manufactured home or are just getting started, here are some of our most frequently asked questions, answered. Q: What is a manufactured home, and what are some of the benefits of owning one? A: Here’s the scoop. A manufactured home is a quality factory built-home that is delivered to a property and set in place. Each of these homes, fully customizable and averaging more than 1,400 square feet, is constructed in accordance with the national building code governed by the United States Department of Housing and Urban Development (HUD). Our homes are sturdy, low maintenance, and offer resort-style amenities along with a variety of planned social activities and group outings. Most communities are also pet-friendly. Can’t leave those behind! Q: What is the average cost of a manufactured home? A: Today’s new manufactured homes sell for an average new price of just over $60,000, while the average used manufactured home sells for about $13,000. Whether new or used, manufactured homes offer a tremendous value in today’s housing market. Depending on the region of the country, construction cost per square foot for a newly manufactured home averages about 10 to 35 percent less than a comparable site-built home, excluding the cost of land. Q: What kinds of features and layouts are available in today’s manufactured homes? A: Tons! 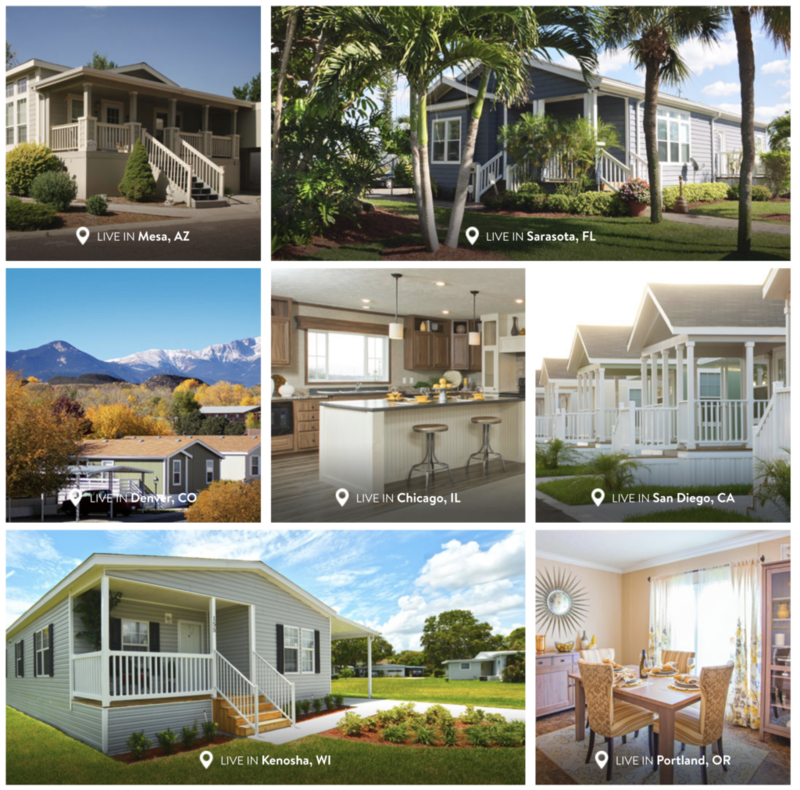 Manufactured homes offer a variety of floor plans and surprising features including vaulted ceilings, deluxe kitchens, walk-in-closets, bathrooms with recessed bathtubs and whirlpools and much more. Q: How do I know if the home I purchase has been constructed in accordance with HUD’s national building code? A: It’s simple. Just look for a numbered HUD certification label affixed to the exterior of each section of the home, along with a data plate listing the manufacturer, serial number, design approval, heating specifications and wind resistance information. And if you can’t find these facts on the home, don’t buy it! Q: What kinds of financing options are available to manufactured home buyers? A: No scary numbers here! Down payments for manufactured homes typically range from 5% to 10% of the selling price of the home, and loan terms are typically 15 to 20 years. Q: What is a land lease community? A: Good question!A land lease community is one where the owner of a home leases the land on which the home is set. 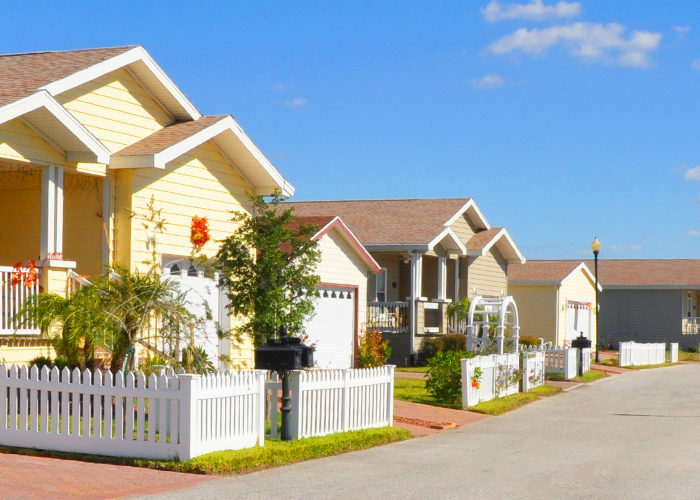 Most manufactured home communities in the U.S. are land lease communities. Q: What fees can I expect to pay as a resident of the community? A: Nothing out of the ordinary! The typical fees associated with living in a manufactured housing community include site rent, utilities such as water, sewer, electric and gas, trash collection and cable television service. Q: Are rental homes available within the communities? A: Yes! Rental programs are available in several communities, allowing customers who may not be ready to purchase a home experience the benefits of community living first-hand. Q: Can residents have their own lawn/garden design? A: Of course! Residents are responsible for their individual landscaping designs and free to customize their lawns and gardens to their heart’s content. Previous Article 6 Adventurous Ideas for Your Bucket List!